I was checking out blogs of book lovers and ran across BookwormMeetsBookworm. I immediately honed in on this photo, even though the blogger is a photographer and there were many very excellent photos. The great thing is, this bookstore is in TENNESSEE!! Driving distance, day trip! I couldn’t believe it! My friend Deanne is coming in a week, and we are going to go. The thing now…is to decide which location to go to. They have three: Nashville, Knoxville and Chattanooga. It will take us 2 hours and 19 minutes to get from driveway to parking lot. The original idea remains unchanged, but the company has grown…and keeps on growing! 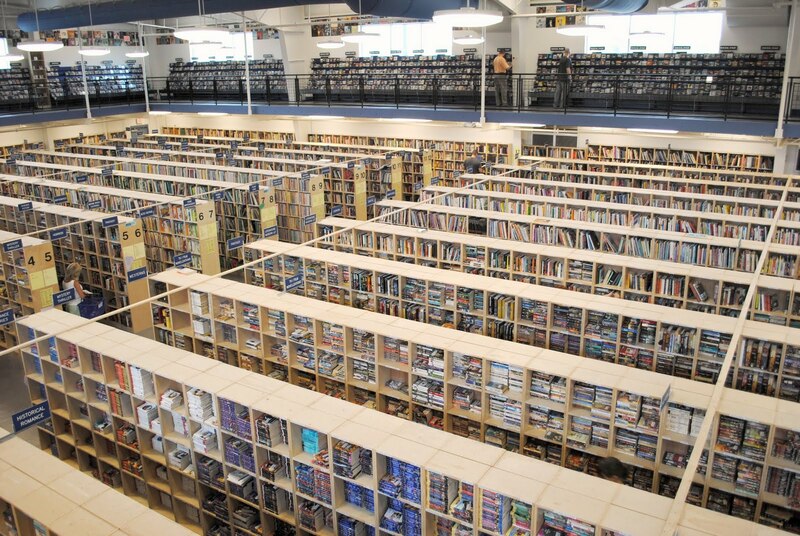 McKay stores are now a valuable resource for scholars, casual readers, music lovers, video gamers, and movie buffs throughout the region. Back in the old days, our books were displayed in old Canada Dry crates, stacked precariously on top of each other and labeled with sharpie markers! Previous Post A new mini challenge!